WAIST HIGH: Go-Go's Cancel North American Tour. 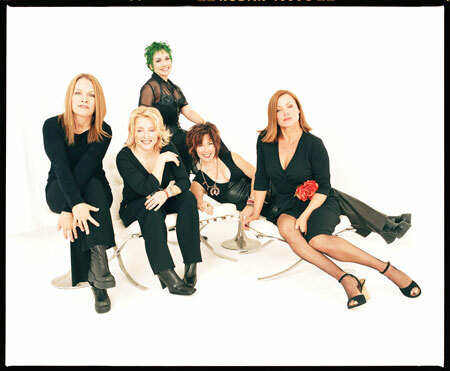 Go-Go's Cancel North American Tour. The Go-Go's have been forced to cancel their three-week North American summer tour Happily Ever After after guitarist Jane Wiedlin fell and injured herself while hiking near her California home. The band have released the following statement: It is with great regret that the Go-Go’s announce today the cancellation of Happily Ever After, their summer farewell tour. The tour was scheduled to kick off July 7 at Lilith Fair San Diego, and conclude in Austin, TX on July 27. The band will also be unable to perform live on Good Morning America, scheduled for July 16 in New York’s Central Park.